The Strand presents a special HD event, BARRYMORE, Saturday, November 17 at 2:30pm. 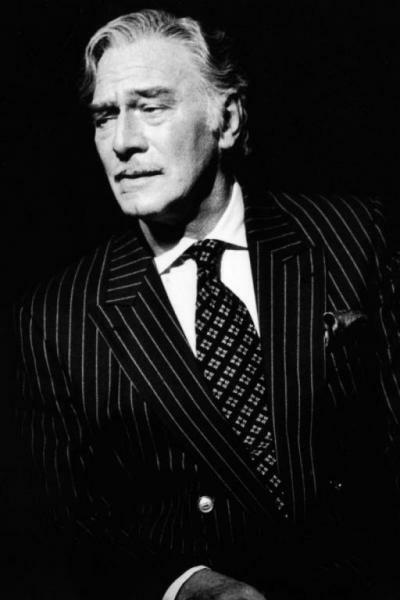 Christopher Plummer stars in an unforgettable portrayal of legendary actor John Barrymore, a man of colossal talent and contradictions and one of the greatest Shakespearean actors of all time. The year is 1942, what will be the final year of Barrymore's life. No longer a leading box office star, the film finds the actor reckoning with the ravages of his life of excess. He has rented a grand old theatre to rehearse for a backer’s audition to raise money for a revival of his 1920 Broadway triumph in Richard III. It leads him to look back on the highs and lows of his stunning career and remarkable life. Backstage with Barrymore is a documentary film about the re-creation of an incredible piece of theatre history. Cameras were rolling as Plummer and the production team prepared Barrymore for the stage of Toronto’s Elgin Theatre. The film offers complete access to the entire process, interviews with the people responsible for this epic adventure in theatre and film, and includes interviews with Plummer’s favorite leading ladies: Julie Andrews, Helen Mirren and Zoe Caldwell. Mary Black, widely regarded as Ireland’s premier female vocalist, performs live at the Strand Friday November 9 at 7:30pm, as part of a 10-city U.S. tour. On her first visit to the U.S. in two years, Black will perform material from her newest album, Stories from Steeples, her first studio recording in six years, as well as many of the great songs that she has made popular throughout her career. Joining her is special guest Róisín O, a gifted young singer/songwriter who is one of the rising stars on Dublin’s vibrant pop music scene. Black has been at the forefront of Irish music for more than 25 years, recording dozens of albums. Her breakthrough No Frontiers in 1989, featuring the haunting track “Columbus,” brought her rich, clear voice and gift for storytelling to the attention of U.S. audiences for the first time. With her ear for emerging songwriters, Black has never hesitated to introduce a new talent, share a spotlight or credit as the impressive roster of singers, musicians and songwriters that populate her impressive catalog of recordings. Proof of that too is the billing accorded newcomer Róisín O, who has also supported dates with The Coronas, Imelda May, Brad Paisley and Robert Cray, recorded with Paul Brady. Tickets: $45. The Strand’s Fall Live Concert Series, sponsored by Maine Magazine continues November 14 with Arlo Guthrie live. Tickets are on sale now. All seating is general admission. 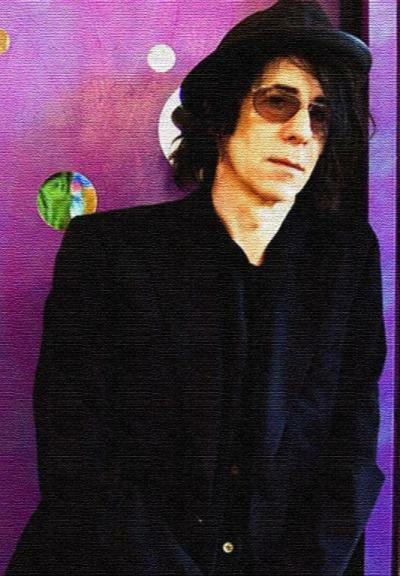 Lead singer of the J. Geils Band, and solo rhythm and blues, soul, and rock and roll musician, Peter Wolf, plays the Strand Friday, October 26 at 8pm. Known for hits like “Centerfold” and “Freeze Frame” as J. Geils Band lead singer for two decades, Wolf has also established himself as a solo artist, writing and recording since 2002 what many consider to be the best albums and songs of his career. Rolling Stone magazine counts his album Sleepless among their 500 Greatest Albums of All Time, "Wolf accomplishes a rare feat on this modern blues album: He sings about adult romance without sounding jaded. The former J. Geils Band singer testifies about true love in his soulful growl, with help from friends like Mick Jagger and Keith Richards." The magazine also included his most recent release Midnight Souvenirs in the 30 Best albums of 2010. Wolf hails from the Bronx of the 1950s, where his music was heavily influenced by the sounds of Chuck Berry, Jerry Lee Lewis, and Little Richard. His Harlem high school was near the Apollo Theatre, where weekly visits introduced him to Jackie Wilson, Dinah Washington, Otis Redding and James Brown, all sparking his early interest in blues and R&B. Throughout his career, Wolf has collaborated with music legends, performing, recording and producing with the likes of Muddy Waters, Bob Dylan, Aretha Franklin, Wilson Pickett, Steve Earle, Kid Rock and Bruce Springsteen. In 2012, Wolf reunited with J. Geils Band members to perform with Aerosmith at Boston's Fenway Park. Tickets: $32. The Strand’s Fall Live Concert Series, sponsored by Maine Magazine, also includes upcoming performances by Mary Black and Arlo Guthrie. Tickets for all shows are on sale now. All seating is general admission. For tickets and information visit www.rocklandstrand.com or call (207) 594-0070 x 3. Three American music icons, a legendary Irish songstress, and a rising indie music star all grace the stage of the Strand this fall as part of a live concert series: Ben Taylor October 6, Suzanne Vega October 12, Peter Wolf October 26, Mary Black November 9, and Arlo Guthrie November 14. The series kicks off Saturday, with Ben Taylor’s (Oct 6) memorable melodies, immaculate acoustic guitar playing and insightful, honest lyrics. The son of James Taylor and Carly Simon, Taylor’s life was always centered on music, and he seamlessly merges the sounds and styles of rock, pop and folk. His latest album Listening, was released Aug 14 and is available as both CD and vinyl. 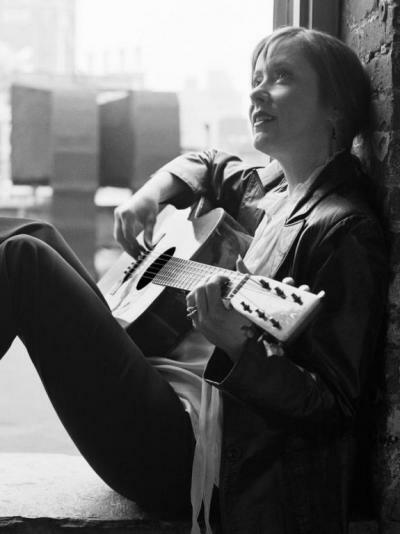 “Widely regarded as one of the most brilliant songwriters of her generation,” (Biography Magazine) Suzanne Vega (Oct 12) emerged as a leading figure of the folk-music revival of the early 1980s when, accompanying herself on acoustic guitar, she sang what has been labeled contemporary folk or neo-folk songs of her own creation. 2012 marks the 25th anniversary of Vega's album Solitude Standing, featuring the songs Luka and Tom's Diner. She recently released the third installment in her series of acoustic CDs Close Up - States of Being. American rhythm and blues, soul, and rock and roll musician Peter Wolf (Oct 26) is perhaps best known for being the frontman and lead singer of The J. Geils Band, but Wolf is also an accomplished solo artist who since 2002 has written and recorded what many consider to be the best albums and songs of his career. Rolling Stone magazine counts his album Sleepless among their 500 Greatest Albums of All Time, and his most recent release Midnight Souvenirs in the 30 Best albums of 2010. 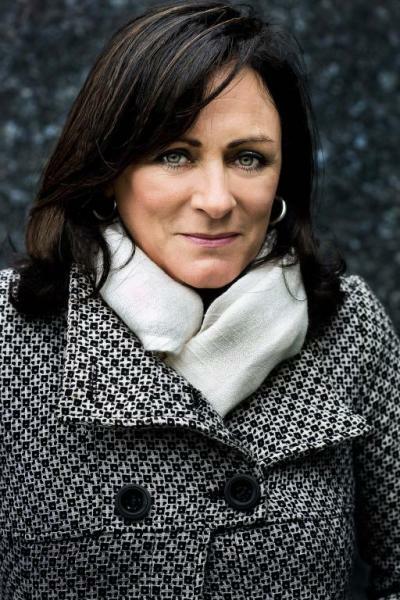 For the last quarter-century, singer Mary Black (Nov 9) has been a dominant presence in Irish music, both at home and abroad. She has shared stages, tv shows and recording studios with some of the most revered performers of her time. She has also played a frontline role in bringing Irish music, past and present, to an increasingly appreciative and ever-growing global audience. Folk music icon, Arlo Guthrie (Nov 14) is a legendary artist who shares timeless stories and unforgettable classic songs as he carries on the Guthrie family legacy. With his singular voice as both a singer-songwriter and social commentator, he has maintained a dedicated fan base that spans the globe. Join Arlo in the Strand’s intimate concert venue for the Midcoast stop on his tour Here Comes the Kid: Celebrating Woody Guthrie's 100th Birthday! Media sponsorship of the 2012 fall live concert series is provided by Maine magazine. Tickets are on sale now! All seating is general admission. 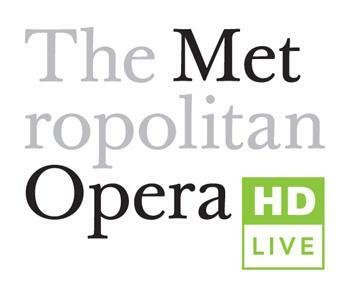 The 2012-2013 season details for the Metropolitan Opera and London’s National Theatre Live Broadcasts in HD are now available! New productions of Verdi’s Rigoletto, Wagner’s Parsifal, and Handel’s Giulio Cesare, along with the Met Premiere of Donizetti’s Maria Stuarda are included in an expanded MetOpera Live season of 12 productions. Season ticket sales begin August 24 for Met Members and will be available to the general public beginning September 4. Single-seat tickets and online sales start September 12. Schedules are also available in the lobby on your next visit to the theatre. In The Curious Incident of the Dog in the Night-Time September 6, Mark Haddon’s celebrated, multi-award-winning novel is beautifully and imaginatively adapted into a stage play for the first time. In The Last of the Haussmans October 11, Julie Walters plays Judy Haussman with Rory Kinnear and Helen McCrory as her children in his eagerly-anticipated new play: a funny, touching and sometimes savage portrait of a family that’s losing its grip. Simon Russell Beale takes the title role in Shakespeare’s Timon of Athens November 1 - a strange fable of consumption, debt and ruin, written in collaboration with Thomas Middleton. Click the links above for all the information you’ll need to be sure you don’t miss a moment of these exciting performance seasons! The Strand Presents a FREE Outdoor Summer Concert Series! This summer, the Strand Theatre in Rockland is hosting a series of free outdoor music concert events to complement Rockland’s First Friday Art Walks! The July kickoff concert, featuring the The Sweetback Sisters, was wildly popular, attracting hundreds of music and food lovers to the Strand's outdoor bandstand! Join us for the second concert of the season Friday August 3rd on Winter Street for live music, food vendors, a beer and wine garden, and more! The music will start at 7:30 after the gallery walk winds down, with vendors offering food & drink starting at 5:30 pm for those wanting to come downtown and make an evening of it. Food will be offered by: Uproot Wood Fired Pizza, Taco Libre food truck, Taproot Italian Street Food cart, and Stone Fox Farm Creamery. These family friendly concerts will be fun for all ages, and are free and open to the public. 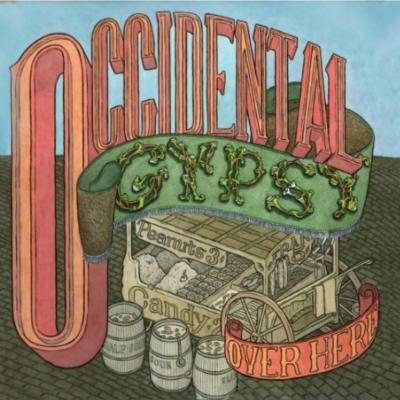 On the bill is the quintet Occidental Gypsy, who are pioneering the sound of Gypsy-Pop. Their mélange of up-tempo, high-energy rhythms of Gypsy, melded with the catchy melodic hooks of Pop delivers a thrilling, diverse, sophisticated, and eclectic sound. Click the links for more details about this exciting FREE concert! See you on Winter Street!